What do we often do with our raw emotions? We stuff, we explode, or react somewhere in between. Is it really possible to make emotions work for us instead of against us? 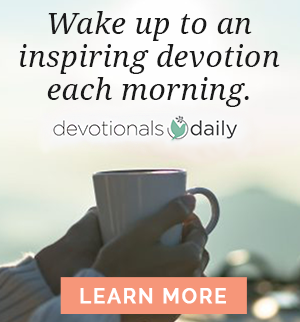 Lysa TerKeurst’s answer is yes, and in her usual inspiring and practical way, Lysa shows you how. Filled with gut-honest examples and Biblical teaching, Unglued will equip you to know with confidence how to: 1) resolve conflict and find peace in your important relationships; 2) learn to be honest but kind when offended; 3) identify what type of reactor you are and how to significantly improve your communication; 4) respond with no regrets by managing your tendencies to stuff, explode or react somewhere in between, and much more. We hope you enjoy this first session of Unglued. May the words of my mouth and the meditation of my heart be pleasing in your sight, O Lord, my Rock and my Redeemer. — Psalm 19:14 (NIV 1984). 1. Which of the following animals best characterizes how you tend to respond when you are in an unglued situation? Share the reasons for your response. Wounded bear: I am hurt and unpredictable, so watch out. Agitated skunk: I may or may not create a stink, but the threat is always there. Deceptive peacock: Who me? I’m not upset. Look at all my pretty feathers! Crouching tiger: I may not attack now, but I will strike back when you least expect it. Screech owl: Prepare for a tirade! Barricading beaver: No time to say what I’m really feeling. I’m too busy building a wall between us. 2. On the video, Lysa said that the goal of this study isn’t to be perfect; the goal is to make imperfect progress — slow steps of change wrapped in grace. Generally speaking, what comes to mind when you think about trying to make a change? Examples: I don’t want this. Finally — something new! This is going to hurt. Change is bad. I’m excited to see what happens. What was your initial response to Lysa’s description of imperfect progress? How was your response similar to or different from the kind of thoughts you typically have when you think about change? 3. The book of Joshua is about conquering enemy territory. God’s people have just emerged from forty years of desert wandering and are finally ready to claim the Promised Land as their own. After spying on the enemy (Joshua 2:1-3) and leading his own people to recommit themselves to God (Joshua 5:2-12), Joshua is on his way to survey the walls of Jericho in preparation for battle. But before he arrives, he discovers that a man he does not know is there ahead of him. Read Joshua 5:13-15. In this brief exchange, the commander of the Lord’s army essentially says, “I’m not here to take sides. I’m here to take over.” Joshua, whom God has charged with taking possession of the land (Joshua 1:1-9), suddenly experiences a radical reorientation — about his role and about the battle he faces. How would you describe the shifts in Joshua’s perspective — specifically, what do you think changes in how he sees his role and the battle he faces? Joshua’s first question rebounds, forcing him to ask himself a crucial question: Whose side am I on? How does this question shift your perspective about your role in the battles you face, and about the battles themselves? What additional questions might this shift in perspective (or the story overall) stir up in you about your unglued experiences? What image would you say best characterizes your words and your thoughts when you are in an unglued situation? For example: a runaway train, an underground nuclear explosion, an iceberg. Share the reasons for your response. Remake this same image to describe how you hope your words and thoughts might change if you could position yourself on God’s side. For example: a runaway train might become a train slowly pulling into a station to offload cargo and refuel; an underground nuclear explosion might have an emergency “off” switch; an iceberg might melt into a spring-fed mountain lake. The psalmist uses the words Rock and Redeemer to describe his relationship to God. They are words that evoke images of protection and rescue. How do you need God to protect and rescue you in your unglued moments? The five remaining sessions in the Unglued study explore many of the ways we come unglued and how we can use imperfect progress to make lasting changes. 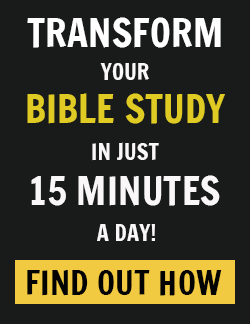 If you are participating in this study with a group, it’s important to be aware of how God is at work among you — especially in how you relate to each other and share your lives throughout the study. As you discuss the teaching in each session, there will be many opportunities to practice giving and receiving grace, to speak life-giving — and life-challenging— words, and to listen to one another deeply. What keeps you from making changes in your unglued situations? Lysa writes in Unglued that she always had the fear, “That I wouldn’t do it perfectly. I knew I’d still mess up and the changes wouldn’t come instantly.” God invites us to choose grace rather than self-condemnation — or anything else — as the starting point for growth and change. Take a moment to think about the changes you want to experience, especially in connection with your raw emotions and reactions. What intrigues you, or concerns you, about approaching these changes as a response to God’s love? Leave your comments below. We’d love to hear from you!